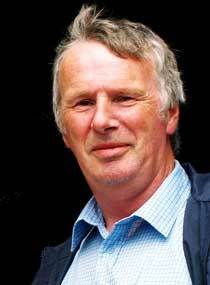 Edmond Phelan, Chairman, ICSA National Beef Committee. showing “a complete lack of respect for the efforts of producers who are left in an increasingly vulnerable position as far as future viability goes. “At the very minimum we need another 20c/kg to keep things going. Stating that if factories are serious about winter finishing, he said “there has to be an incentive to feed cattle over a long winter. “This year in particular has proven particularly expensive so far with cattle being housed early and the looming fodder crisis means that all bought-in feed will be expensive for the rest of the winter period. “We also see that demand for beef across Europe is improving and that UK production levels are slipping. “Winter finishing is not viable with falling prices especially when market conditions are favourable for paying a better price at this time.